As soon as the boat comes, bass go silent… “Any lure you can cast that far, is too big”. It is clear that the bass are chasing small baitfish… “The best size is too small to get out that far and not able to attract enough too”. Big fish are all around… “fish turn away as soon as they get near the lure”. Every angler has experienced this sort of dilemma before. Fish that were not able to be targeted are targets for TREJU. A new type of lure designed with paint scheme and body to create a small lure silhouette, while having the castability of a large lure. TREJU is designed to be able to “pop” on the water to imitate baitfish feeding sounds while completely under the control of the angler. Made to draw nervous fish to the surface, this a true NORIES design.TREJU50 has a unique single belly hook design, for increased distance when casting. A must have item in tough conditions. The 65 mm model is made to fish on clear open water, a strong model for a light rig setting. 85 mm model is made for pinpoint casting. Body shape designed to target overhangs and tight areas.108 model is a sliding popper that can be cast a long way over flats to search for fish quickly and effectively.133 is a designed for big fish and has appropriately been built with a penetration wire and designed for super long casts. Even with its thin profile it produces amazing sideways movement to draw out reaction bites from even nervous big fish. 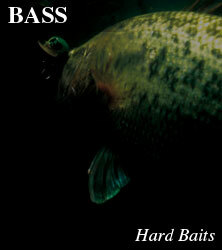 FEINT BAITS SERIES - What's FEINT BAITS SERIES?